Made with rubber lined, diecast jaws. 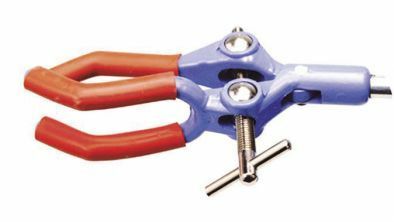 Clamping rod operates through swivels mounted neatly in the jaws. Mounted on a 135mm rod of 8mm diameter. Jaw capacity 90mm and overall length 250mm.